Once again, climate change is in the national news, with CBS News publishing a story titled Report sees “momentum” against climate change and its impact on health. While media members talk about current climate change, they tend not to talk about previous eras of climate change. It is as if they don’t know about the previous eras. 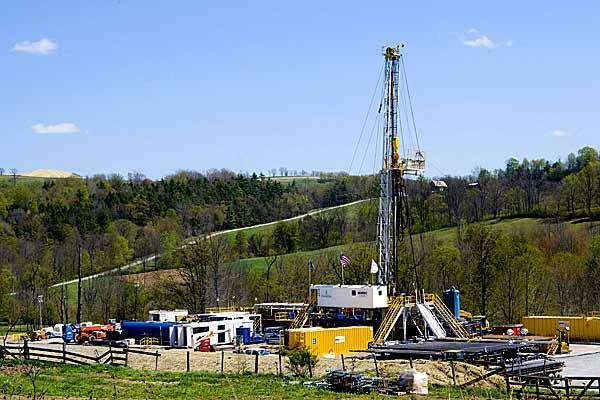 Now, what was the source of all of that carbon dioxide? It certainly wasn’t human activity. Climate change continued well into the Human era, with the Medieval Warm Period being a well-documented time of global climate change. 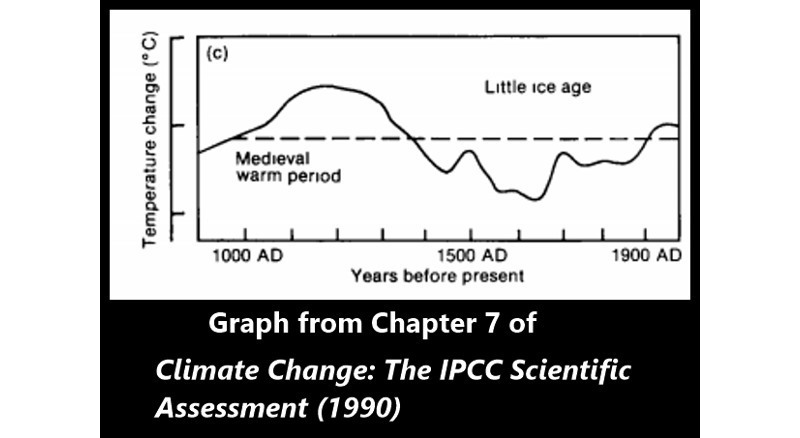 Indeed, the IPCC acknowledged the occurrence of the Medieval Warm Period back in 1990. The Medieval Warm Period took place before the Industrial Revolution. So, what caused that particular period of global climate change? Then a funny thing happened. 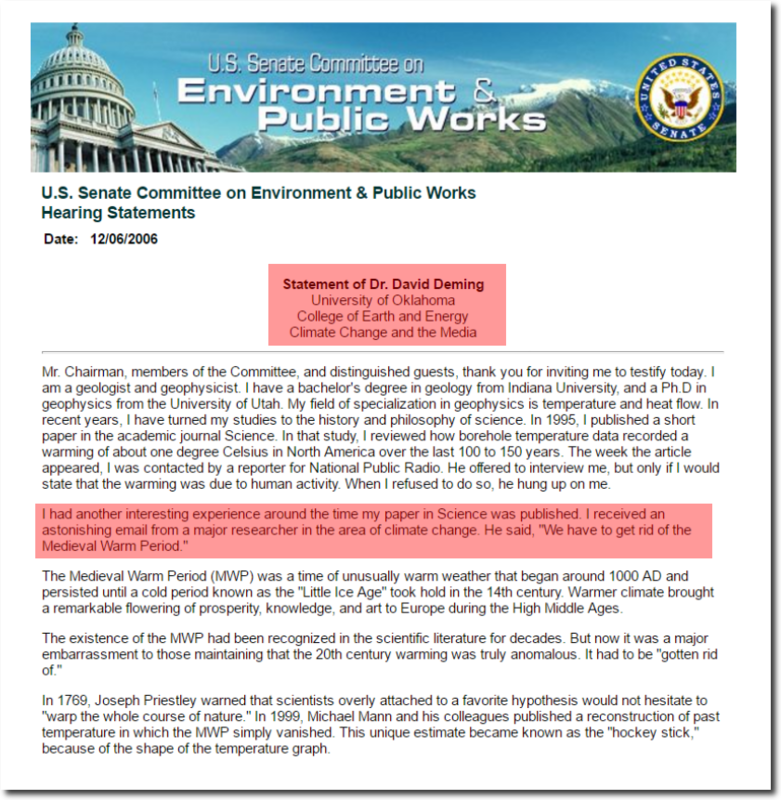 Certain climate scientists decided that they had to eliminate the Medieval Warm period, as climate scientist David Deming explains in his 12/06/06 testimony before the U.S. Senate Committee on Environment & Public Works. Sadly, media members have been listening to those science deniers, who have bought hook, line and sinker a real hoax – Michael Mann’s fake hockey stick. That is why media members tend not to talk about previous eras of climate change. I have a hypothesis as to why Mann’s hoax is being accepted by the media. It has to do with the way that Humans fear what they cannot control. People simply do not want to put up with climate change that isn’t pleasing to them. If they can find a 100% Human cause of climate change, then perhaps they can prevent it. However, if Mother Nature is partially or completely responsible for unpleasant climate change, then they might not be able to prevent it. Being unable to control something unpleasant is scary for people, and they want to avoid acknowledging it as long as they can. 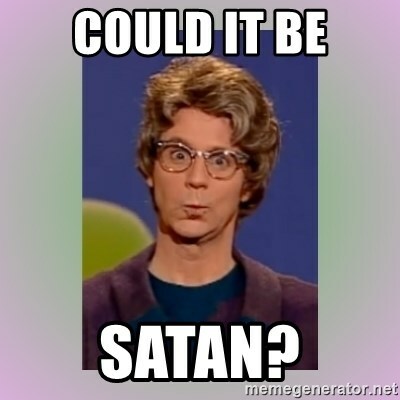 Hence, media members are going along with the Mann hoax, because it is more emotionally pleasing than what planet Earth’s real climate history reveals. Sure, Mankind’s activity can contribute to climate change. I have said so myself, along with the climate scientists who contradict Michael Mann. However, saying that Mankind’s activities can contribute to climate change isn’t the same thing as saying that Mankind’s activities are 100% responsible for climate change. The findings of climate research support the former, not the latter. Mother Nature has indeed caused climate change during the time of Mankind’s existence, and she can do it again with or without Mankind’s help. So, the next time that you read a news report about climate change, keep in mind that the author(s) of that report might not have the full picture of Earth’s climate history. It is expedient for media members to simply regurgitate the claims of politically-correct climate scientists. Besides, media members don’t need to present all scientific facts about climate history in order to do their jobs, which is to entice members of the public to read or to listen to the news outlets that they work for. Political Intentions: Do They Matter?